Galaxy Mall is a shopping mall in Surabaya . Mal was founded in 1995 Mal consists of 5 floors with tenants - tenants who are already well -known as a big business in both national and international scale includes Centro , Timezone , J.CO Donuts & Coffee , 99 Ranch Market, Toys City , Cinema XXI , Sogo , kris Departement Store, Celebrity Fitness , Imperial Jade , XO Suki , Bentoya , Pepper Lunch , Centris , Nokia , Infinite and many more .Galaxy Mall is a family mall concept to provide all the needs of the family in one place. 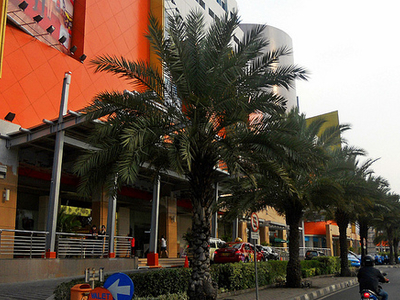 Here's the our members favorite photos of "Malls in Surabaya". Upload your photo of Galaxy Mall Surabaya! Connect with Kenhaway and Yosia who have already visited Galaxy Mall Surabaya.